About Chris: Chris graduated from HPU in 1994 with a degree in political science. His mother, wife and brother are also HPU alumni. Prior to returning to HPU in 1999, he received his master’s degree in athletic administration from West Virginia University and worked at Tar Heel Sports Marketing in Chapel Hill, NC. 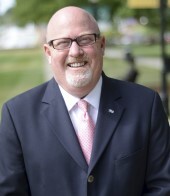 After serving for five years as the Director of Athletic Development and Marketing in the Office of Institutional Advancement, Chris led many of the operational areas for the university including construction, security, food service and events, as Vice President of Administration and Chief of Staff. 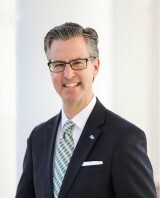 In January 2015, Chris returned to the Office of Institutional Advancement as Senior Vice President for Development to lead the areas of development, alumni engagement and family engagement. 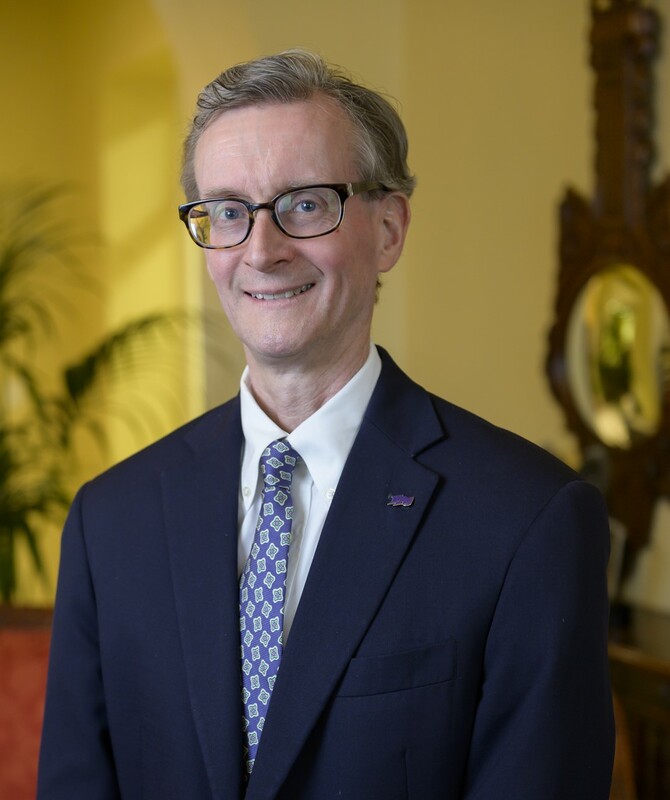 About McKennon: McKennon serves as the Assistant Vice President of Development, with responsibilities for managing the major and planned giving programs at HPU. This includes leading the team of advancement officers, as well as the conversations related to donors’ bequest intentions or other planned giving vehicles. Prior to this position, he served as the Director of Major and Planned Giving for The Divinity School of Duke University in Durham, NC. He also previously served as Director of Admissions for Duke Divinity School and as a minister for Duke University Chapel. McKennon is an ordained minister in The United Methodist Church and completed his undergraduate studies at Hampden-Sydney College. He also received his Master of Divinity degree from Duke Divinity School, and holds a doctorate in Higher Education Management from The University of Pennsylvania. About Logan: Logan is the coordinator of gratitude and stewardship. She oversees stewardship processes and events for students, alumni, parents and other supporters and maintains relationships with them. She also coordinates endowment reporting, recognition processes, annual stewardship reports, donor acknowledgements from students, and reporting for annual foundation and corporate gifts. Her prior experience is in marketing, having worked for the Winston-Salem Dash, UNC General Alumni Association, Chick-fil-A and Camco Manufacturing. She earned a B.A. in history from the University of North Carolina at Chapel Hill. 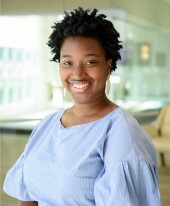 About Jennie: Jennie Anthony supports the Office of Institutional Advancement as a Data Analyst. In her role, she performs routine data maintenance, researches incomplete information, and updates data to enable the University to stay connected with alumni, donors, friends and family. She also provides data lists to various areas within the University to support their efforts related to event planning, research, fundraising and communications. Jennie has more than 12 years of experience in Development as a Development Analyst and Grant Writer/Manager. She received her undergraduate degree double-majoring in Biology and English at the University of North Carolina at Chapel Hill and her Master’s in Public Administration from East Carolina University. About Michael: Michael joined the Office of Institutional Advancement at High Point University in March of 2016. He was born and raised in High Point and has been thrilled to witness the magnificent improvements to the campus in recent years. He now serves as an Advancement Officer, which provides an opportunity for him to meet parents, alumni and friends, while encouraging their involvement with the University. Michael has an extensive business background mostly in sales and leadership roles. Throughout his career, Michael has had a passion for volunteering in his community, and has served as chairman of many civic organizations and fundraising campaigns. About Belinda: Belinda joined the Office of Institutional Advancement as a data analyst. 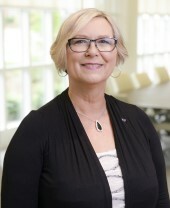 She performs data maintenance and research related to constituent biographical information for the office and manages data that enables the university to stay connected with alumni, donors, families and friends. Before joining HPU, Bailey was an adjunct instructor and professional tutor at Guilford Technical Community College. Her experience has included running an e-commerce and retail business, managing programmers and database developers at Ciba, and teaching. She has also published in magazines and has had her work syndicated in newspapers. She has a bachelor’s degree and additional graduate work in math, and a master’s degree and Ph.D. in theology. 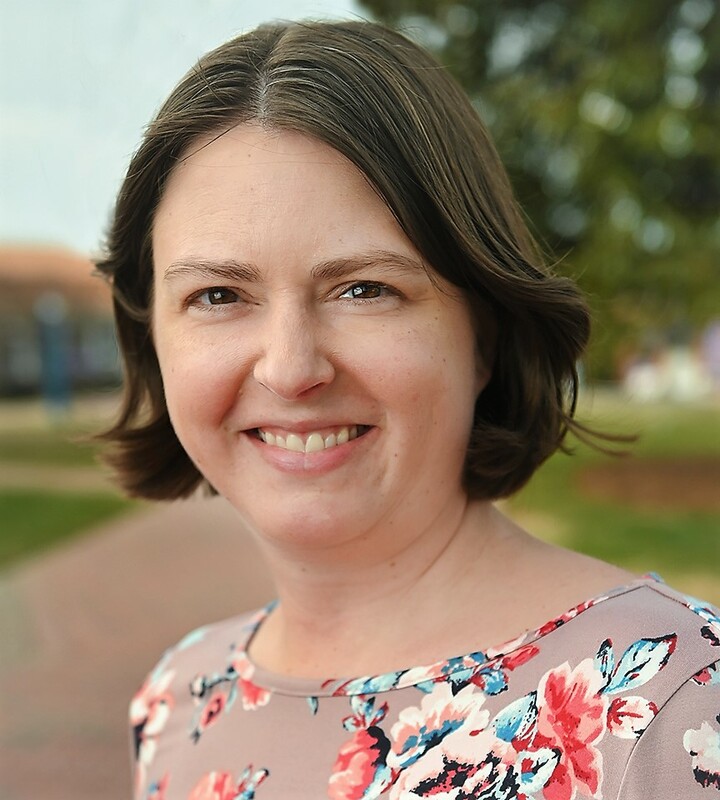 About Erica: Erica serves as Director of Family Engagement and Annual Giving, guides strategic initiatives to increase High Point University’s broad-based, philanthropic involvement from HPU families, as well as various annual giving constituencies. 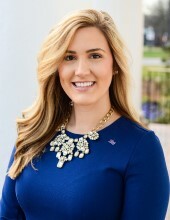 Erica is responsible for the oversight of our President’s Leadership Cabinet and Parents Council (two philanthropic leadership groups for HPU Families), the Forever Families program, and the University’s Board of Visitors. Erica works closely with other offices on campus to create opportunities for meaningful engagement with family volunteers. Erica earned a B.A. in English and an M.S. in Financial Fraud Investigations from Pfeiffer University. She is also a certified Guerrilla Marketing Coach. About Kelli: Kelli writes and designs content for the office’s emails, social media, and website as the Coordinator of Electronic Communications. She helps in effectively communicating the University’s brand and messages to various constituency groups through a number of University’s platforms to help create a consistent message. She has experience in writing, editing and digital marketing. She earned a B.A. in Mass Communications with a concentration in Public Relations and a minor in Sport and Entertainment Management from the University of South Carolina. 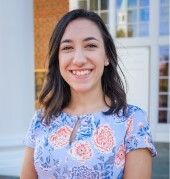 About Rachel: Rachel joined the Office of Institutional Advancement in November of 2018. As an Advancement Officer, she maintains relationships with alumni, parents and friends of the university and encourages them to invest in HPU’s future. 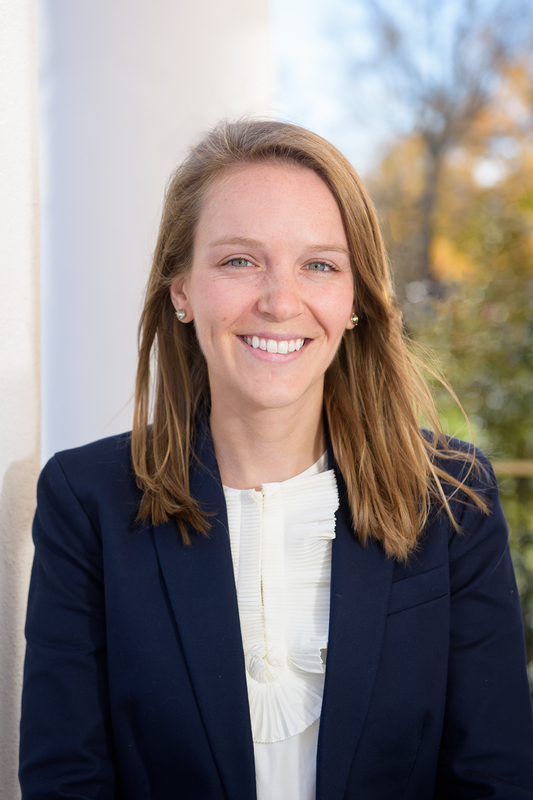 Previously, Rachel’s work has focused on fundraising and finance for political campaigns. She has a bachelor’s degree in political science from Virginia Tech and a master’s degree in political management from George Washington University. 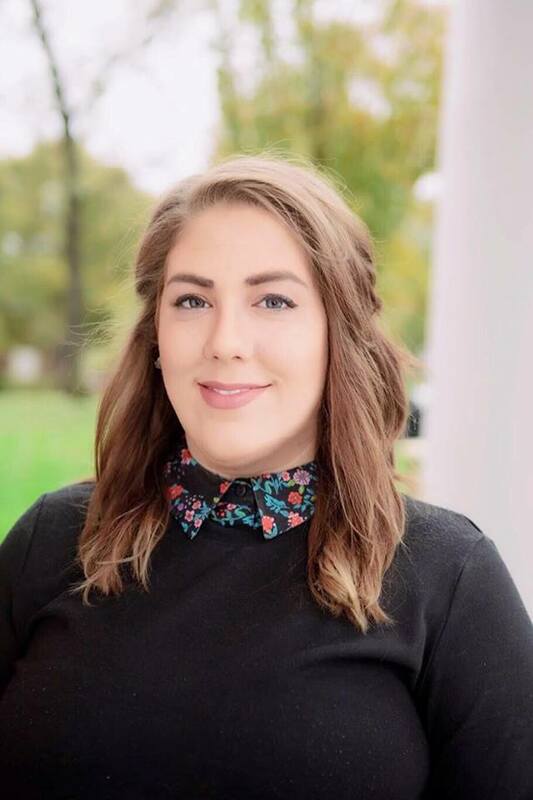 About McKenzie: McKenzie is the Advancement Research Analyst, and is responsible for the identification of potential philanthropic and engagement prospects to gain support and advocacy for the University. She provides research and reporting to various resources in the Institutional Advancement office to facilitate fundraising and other data management efforts. McKenzie earned a B.S. 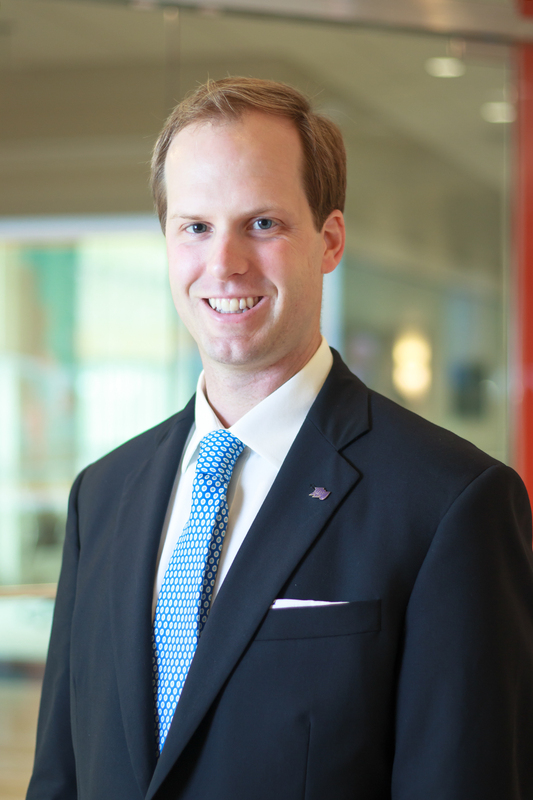 in International Business from High Point University and has served in a number of roles since joining the staff side of HPU. About Hayley: Hayley graduated from HPU with a Bachelor’s of Science degree in 2014. Among serving in multiple organizations on campus, Hayley is most proud of her membership on the High Point University Equestrian Team and Vice Presidency of Alpha Chi Omega. 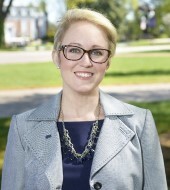 Hayley transitioned from an HPU alumna to an HPU alumna and staff member in August of 2015, when she joined the Office of Institutional Advancement team as the Young Alumni and Student Engagement Officer. She is now honored to serve her alma mater in her current role as the Director of Alumni Engagement. About Darren: Darren joined High Point University’s Institutional Advancement Office in December 2016. In his role as an Advancement Officer, he is responsible for advancing the institutional priorities of the University by connecting parents, alumni and friends through volunteer and financial support. Prior to his arrival at HPU, Darren served as the Director of Corporate Partnerships for the Winston-Salem Dash baseball team. He received his undergraduate degree in Exercise and Sport Science, concentration in Sport Administration, from the University of North Carolina at Chapel Hill. 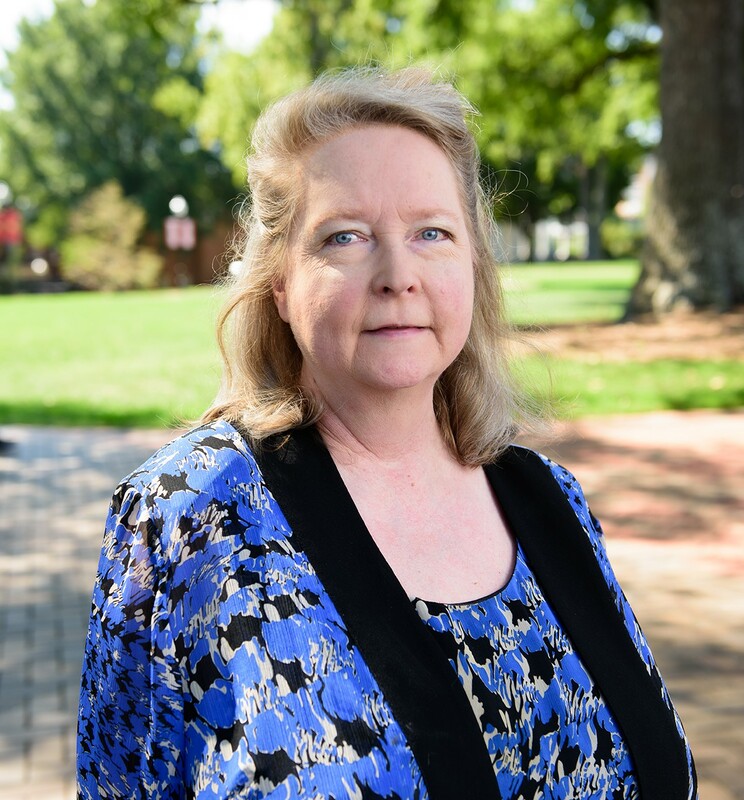 About Denise: Denise is the Gift Processing Coordinator at HPU, and is responsible for researching, entering and maintaining data in the Institutional Advancement gift information system, Raiser’s Edge. Daily, she enters gifts received by mail, phone and through the website. She also performs routine functions such as valuing stock and gifts-in-kind, running daily reports related to processing and balancing, completing deposit slips for daily entries, and preparing and sending acknowledgement letters to thank our donors. 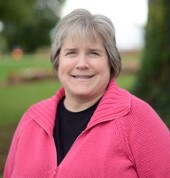 About Kim: Kim joined the Office of Institutional Advancement at High Point University in April 2015. Kim brings a varied background to her role as Advancement Officer. She began her career in Sales and Marketing but perfected her soft skills from her experience in education, ministry and theatre. 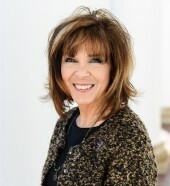 Kim is responsible for advancing the interests of HPU by engaging parents and alumni in the life of the University. She graduated from the University of Kansas with a degree in Liberal Arts. She went on to get certified through KU’s master’s program to enable her to teach middle and high school English. 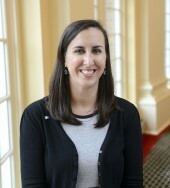 About Andie: Andie is the Coordinator of Family Programs at High Point University. She assists with the communication and stewardship of the two philanthropic groups on campus, the Parents Council and President’s Leadership Cabinet. She manages the Family Weekend Service project hosted during both Fall and Winter Family Weekends. 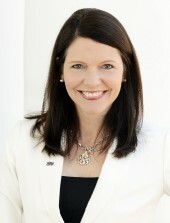 She also works closely with the Forever Families program as well as the Board of Visitors. Andie helps manage data updates, coding of volunteers and various daily tasks. She also supervises student employees who work in the office on a daily basis. Andie earned her B.A. in Communications with a minor in Speech from Catawba College in Salisbury, N.C.
About Gina: Gina graduated from HPU in 2016 with a B.S.B.A in Business Administration and a minor in Event Management. 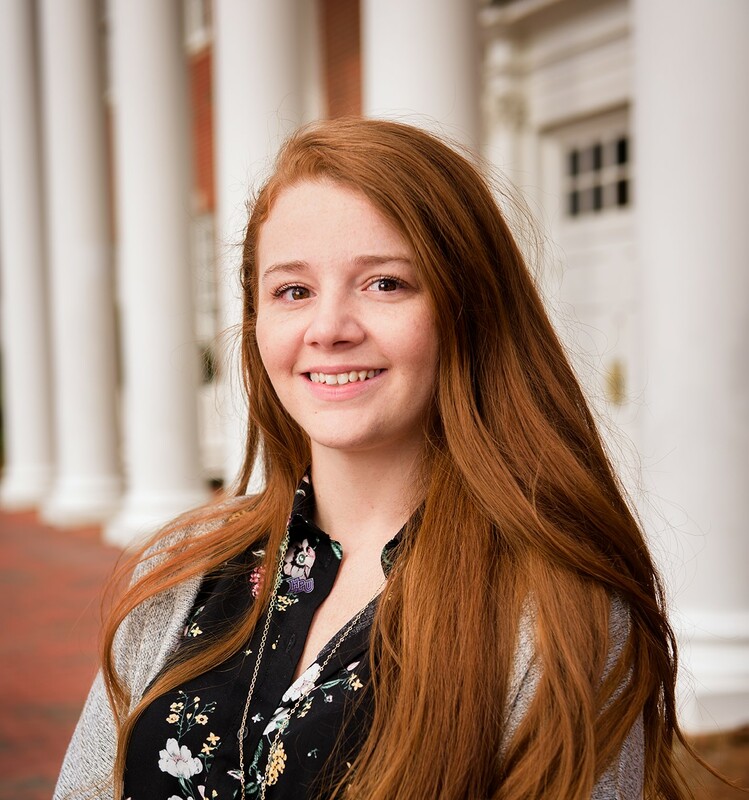 As the Young Alumni and Student Engagement Coordinator, Gina works directly with alumni from the past 10 years and current students to consistently instill a culture of philanthropy at HPU and keep them connected to their alma mater. She advises the Young Alumni Council and the Student Alumni Council, organizes student giving programs, such as the Greek Giving Challenge and the Senior Giving Campaign, manages the office’s social media platforms and assists with planning special alumni and student events. About Bradley: Bradley earned the A.B. degree from Duke University, 1983, and both the M.A. and the J.D. from the University of North Carolina - Chapel Hill, 1988. He practiced law in Greensboro, NC for five years early in his career. As the Director of Gift Planning, Bradley will build relationships with HPU alumni, parents and friends, to motivate legacy gifts to the University, while helping to strengthen certain major donor relationships as well. 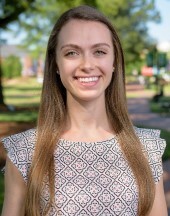 About Sierra: Sierra oversees the Student Phonathon Program where she is responsible for a team of student development ambassadors who represent the University while connecting to alumni, families and friends. Amongst coordinating the Phonathon effort, she is tasked with managing data processes and assisting with content production for direct mail campaigns and electronic communications in annual giving. Sierra earned a B.A. in Psychology from the University of North Carolina at Greensboro, where she was first introduced to Philanthropy and Annual Giving. About Susan: Susan is the Advancement Systems Manager, and brings 23 years of data management experience to the Institutional Advancement team. Her responsibilities include maintaining of data accuracy and synchronization with other University systems, detailed financial tracking and reporting, data imports and exports, reporting in support of other areas within the University, end user setup and training, and system support. She earned her B.A. in English from Wake Forest University and a Master of Technical and Professional Writing degree from Northeastern University. About Mike: Mike has worked at High Point University for over 32 years. The majority of his time was spent in the athletic department where he served from Assistant Baseball Coach to Sr. Associate Athletic Director. 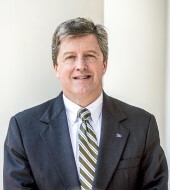 He joined the Institutional Advancement Office in September of 2013 as Director of Parent Relations. He currently serves as an Advancement Officer. 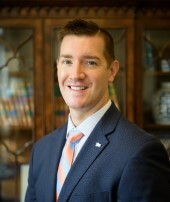 Tuttle is a graduate of Elon University and received his Master’s Degree from High Point University. About Gale: Gale has proudly served the Office of Institutional Advancement as Administrative Assistant/Office Manager for nineteen years. She provides a wide range of administrative support for the entire office, including assisting the Senior Vice President and Advancement Officers. Gale holds Associate degrees in Applied Science in both Business and Accounting. 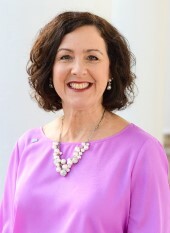 Prior to HPU, she worked in the banking industry, and served as Librarian/Branch Manager in the Davidson County Public Library system for over ten years. About Alexis: Alexis graduated from Appalachian State University in 2018 with a B.S. in Communication, Public Relations and a minor in marketing. As the Alumni Engagement and Events Coordinator Alexis plans events for alumni that offer opportunities for them to engage with the university and network while supporting their alma mater. She has experience planning and executing events with students, alumni and prospective families. Alexis is a member of Alpha Kappa Alpha Sorority, Incorporated. 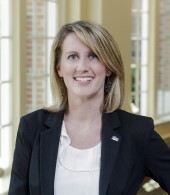 About Rita: Rita is the Director of Advancement Services and an alumna of High Point University. As the Director of Advancement Services, Rita provides management oversight and strategic planning for the development, implementation and support of the University’s fundraising and alumni database, and prospect management systems. Her areas of responsibility include gift processing, reporting, data analysis, database integrity, information security, prospect management, prospect research, and stewardship. Rita is a 1992 graduate with a Bachelors of Science degree in Computer Information Systems. She has worked in technology and data roles for more than 25 years. Don't see what you're looking for? Enter keywords below and click the search button for a list of results.